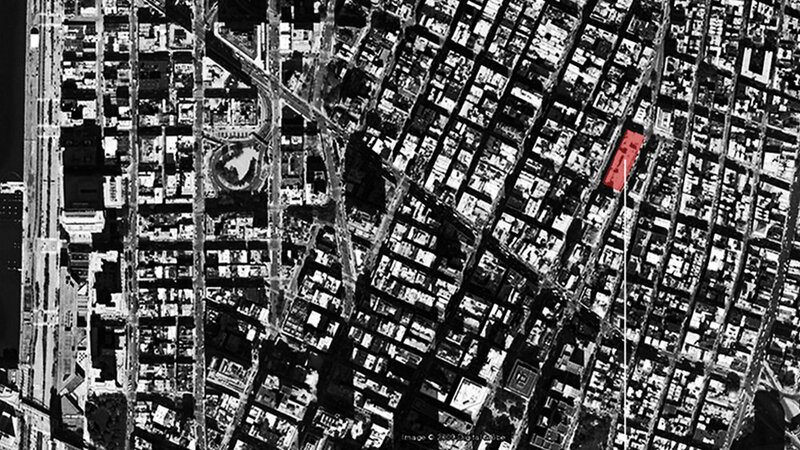 While looking for a site where city block was designed, our attention is drawn to Chinatown located in Lower Manhattan. Lower Manhattan in New York City co-exists with cultures, mixed-income, and different social class levels. New buildings cannot be constructed in Lower Manhattan because vacancy rate is low. Furthermore, site shows a big difference in population and median household income, depending upon districts in Lower Manhattan. Especially, Chinatown is a district where there exists the biggest difference in population and median household income between Lower Manhattan and where the vacancy rate is the lowest. So, the town is the most suitable place to experiment on Parasitic House. Parasitic House is constructed on a block in a city. It focuses on a complex program composed of housing units in commercial and public project to demonstrate the possibility for architecture to solve the problems of future cities. 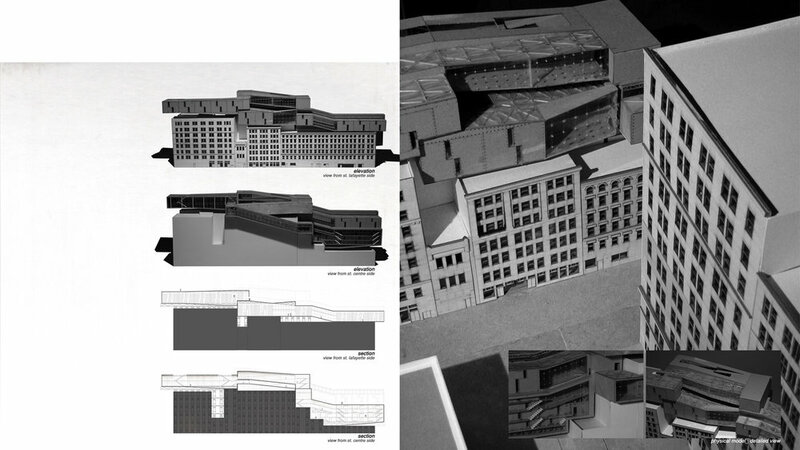 This new architecture shall be constructed on to of existing buildings in a parasitic and floating architecture shall be constructed on top of existing buildings in a parasitic and floating architectural manner because existing town in New York is already saturation point such as high density population. Initial Idea: Conceptual design is an essential component of an experiment in order to find a practical architectural form. And, this form has the concept of prefab architecture which can be easily move to and survive in any place. Prototype for single person dwelling: Before presenting complex and large-scale architecture, I use the afore-said conceptual design to produce a capsule, which is the smallest unit for a human dwelling. I define a capsule as a minimum unit where an adult can lay down, like for sleeping. This capsule architecture is applied with a prefab design, which a few laborers can easily construct and deconstruct, and a parasitism design, which can be erected on any site. Capsule architecture is meant to solve, in a prefab and parasitic concept, such problems of a future city with limited residential units. I will plan a capsule architecture project and present its architectural possibility with a view to use own language to experiment the practicability of prefab and parasitic architecture, discuss the problems of future cities, and resolve the problems in an architectural way. Assembly Drawing: Parasitic House construct on pre-existing urban infrastructure as parasitic manner. 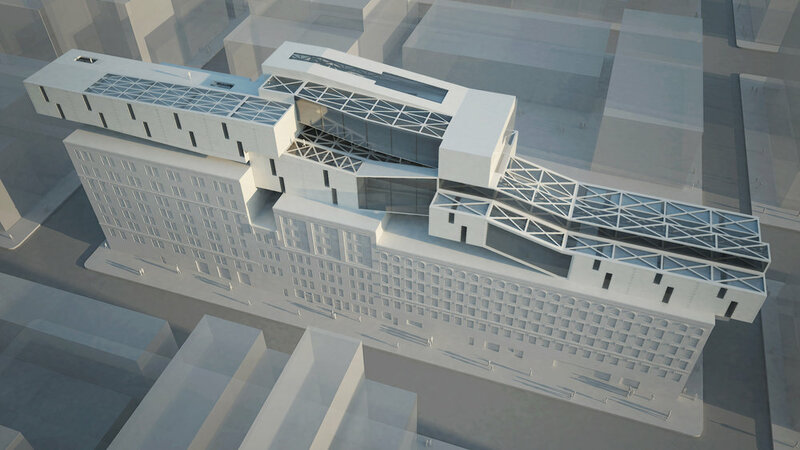 It will be constructed by prefabricated pieces in order to easier to put on the existing building. And each blocks will have different functions such as residence, commercial, and public space.